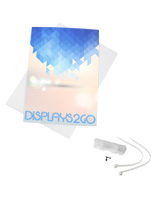 These UV printed sign boards with stands are the newest additions to our product lines. 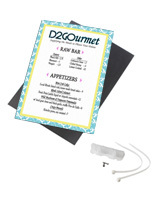 The pairing of custom printing with a floor stand or bracket eliminates the need for more than one supplier. Our new flatbed printer is a natural extension of the types of products sold on the website. Combined with our sign-making hardware, these rigid signs come to you right from the source! 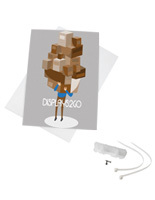 We print on two types of substrates: foam core board and plastic corrugated sheeting (Coroplast). The UV flatbed printer sprays the specialty ink onto the surface of the material which then dries instantly via ultraviolet lights passing over it. The speed at which the lights cure the ink is extremely fast, and this how we can achieve such high resolution because the sprayed ink has no time to spread out. 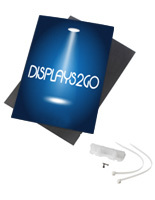 Offered with the sign boards are a flexible mounting bracket or sign base. The bracket is made of flexible plastic and can be mounted in many different ways, molding to flat, angled, or rounded surfaces like poles. The floor stand features an angled steel construction with a satin silver finish. The two-part base sandwiches the sign panel and comes in three widths in order to accommodate larger signs. While the bracket can be used in any exterior environment, we recommend the signs with bases be used indoors only.